Discovered in 1997 by Aaron Spangler and never fixed, the WinNT/Win95 Automatic Authentication Vulnerability (IE Bug #4) is certainly an excellent vintage. In Windows 8 and 10, the same bug has now been found to potentially leak the user’s Microsoft Live account login and (hashed) password information, which is also used to access OneDrive, Outlook, Office, Mobile, Bing, Xbox Live, MSN and Skype (if used with a Microsoft account). One thing very common to all of us is our reliance on operating systems in our hobby life. If that OS is Windows then you could be in for quite a shakeup with Windows 8. Many readers are Linux or Apple users and couldn’t care less if Microsoft is releasing an entire paradigm shift in desktop navigation. However, you just might find yourself facing this new OS and you’ll look like you’re on training wheels if you don’t get acquainted now, and considering the number of computers being released with Windows 8 its inevitable that day will come soon. So if you haven’t been behind the wheel of Windows 8 then checkout [Steve’s] Windows 8 Survival Guide from the Guru Brew Tech Show. This is an excellent overview of the new touch screen navigation methods you’ll find in the Windows 8 desktop including hotspots, charms and tiles to name just a few. You’ll also learn tips to get around with a mouse and keyboard. It’s not a complete tutorial on using Windows 8 but you’ll at least know how to navigate, search for apps, work with multiple apps and find tools like task manager, control panel, file explorer as well as your familiar desktop. Follow the break to watch the short survival guide video. If you’re making a GPS-enabled project, you may have noticed the commonly available GPS modules are pretty expensive – usually around $50. Here’s one for $8. It’s a U-blox PCI-5S GPS receiver on a PCI Express card. There are test points for serial and USB data, though, so fitting this in your project is a breeze. Here’s a clock project from [Siren Elise Wilhelmsen]. Over the course of 365 days, the clock knits a giant, 2-meter tube of yarn that should be the perfect start for a half-dozen pairs of socks. No video for this, but if you find one, post a comment. Atlanta is getting a new hackerspace. It’s called My Inventor Club and they’re starting to move into their space. Judging from [Scott]’s pictures of the new space it’s huge. We can’t wait for the video tour once they’re done moving in. Windows 8 is… weird… and you can’t install unsigned drivers without a lot of rigamarole. This means installing the Arduino IDE is a pain but [Dany] has a solution. Reboot into “test mode” and you can install unsigned drivers without your computer throwing a hissy fit. Hey guys, need some help here. Alright, I’ve got a little problem with component sourcing. I’m making a ‘shield’ for the Raspberry Pi. Does anyone know where I can get really long female headers for the GPIO pins so the board will fit over the USB and Ethernet jacks? Here’s the project if you’re curious. I think the female part of the header needs to be 14mm high at least to fit over the USB port. EDIT: Samtec ESQ-113-33-L-D. Here’s their site. This site is amazing. You can actually… find things. Completely unique experience here. Thank you, [Richard]. A crack has been found in the armor of Windows RT. 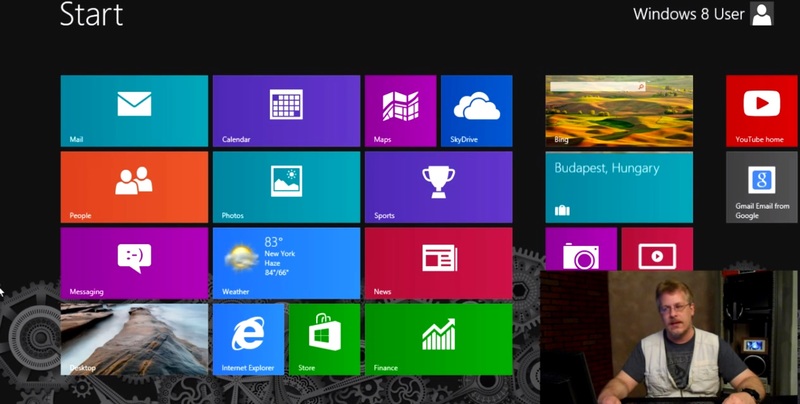 This subset of Windows 8 is designed to run on ARM processors. The payload listed in the image above allows you to run unsigned desktop applications on the OS. We haven’t seen very much about the Windows RT package, so it’s nice to hear [Clrokr’s] thoughts on it. As far as he can tell the system has not been watered down from its Intel-aimed (x86) counterpart. 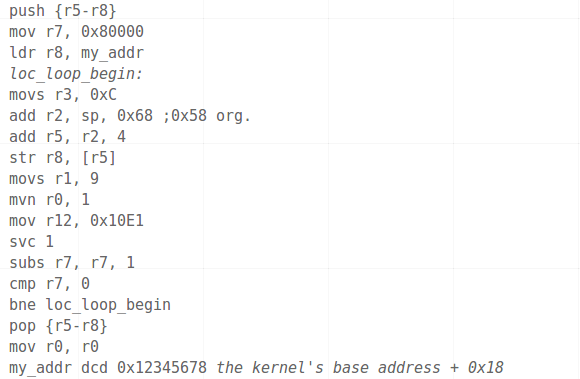 Rather, RT seems to be a direct port with what is called “Code Integrity” mechanisms switched on. There is a kernel-level setting, barricaded behind UEFI’s Secure Boot, which determines the minimum software signing level allowed to run on the device. This is set to zero on a Windows 8 machine, but defaults to 8 on an ARM device. [Clrokr] uses a debugger to insert the code seen above into a DLL file in order to reset that minimum signing value to 0. Do you have a project in mind for which this is useful? We’d love to hear about it in the comments! To call [Carnivore’s] home automation project impressive would be an understatement. He’s pulled together a system that is fast, well presented, and easy to use. To interface with items in his home he’s using X10 modules, and this example simply switches some table lamps. But the underlying setup seems incredibly polished and should be a snap to extend for just about any purpose. The guide linked above has all the gritty details, but the best overview is provided in the video after the break. [Carnivore] shows off the Windows 8 machine that acts as the server. It has am X10 transceiver connected to communicate with the appliances. He can control the system from the screen seen above, but everything can also be accessed from his Android phone. Communication between the two is handled by Google Talk, an instant messaging application — but the commands are home screen shortcuts and don’t need to be typed into the Google Talk app. He modified the source code of a program called TweetMyPC to use the Google Talk API which looks for keywords in received messages. The lag on an instant message is far lower compared to SMS or Email so commands are received very close to real-time. Feedback is sent from the server to the phone using a text message. 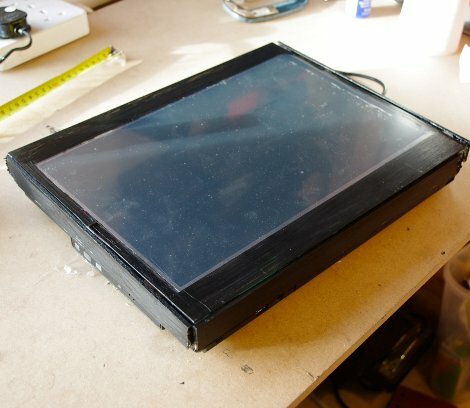 [hackitbuildit], from instructables, has brought us a a DIY windows 8 tablet. To make the tablet, an old laptop is used that meets the minimum requirements of windows 8 preview, a touch screen conversion kit, and of course the software itself. The laptop is first prepared by removing the casing around the screen, and if you just go by the pictures it kind of looks like he is ripping it apart! Though if you look at the video screws are being removed. The screen is flipped around and laid on the keyboard with a couple spacers between them, as many laptops use the keyboard area as heat sinking. The touch screen is installed, and some wood strips are hot-glued to the outside to fill in the gap between the screen and base. With a little paint you’re left with a large, but functional windows 8 tablet to get started developing for.